Nova's Maintenance Card for your free arm Singer 222 K - Singer called it 'the convertible'. Due to the feed dogs dropping, and the free arm nature of this machine, the underside is completely different than the 221 Featherweight. 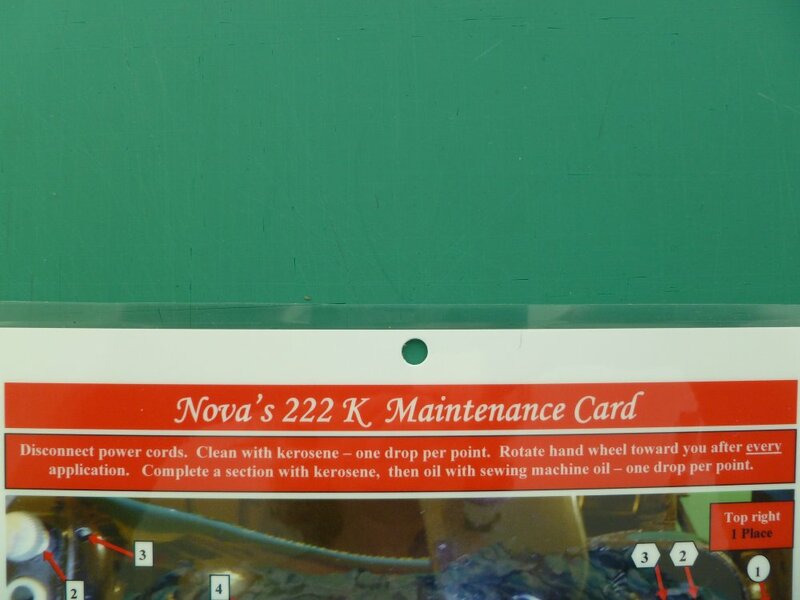 Nova's Maintenance Card gives you clear photos of exactly how to maintain these unique machines. Laminated card with full color photographs to help you maintain your 222 K.
Photo shown is a small sampling.